This species lives beside clear-water streams flowing through rain forest. Here it perches on rocks in mid-stream, running after insects on the rock or darting after them in the air. It is a wary bird, always following the stream-bed when disturbed. • NEST A deep cup nest, lined .. . with plant fibers, p/nmag( and plastered 0„ ,he with a layer /,reas, of mud to an overhanging surface. • REMARK There are seven species of forktail. 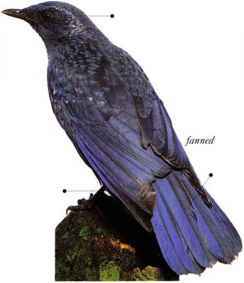 All are thrushes of fast-flowing mountain streams, living in different parts of Asia. 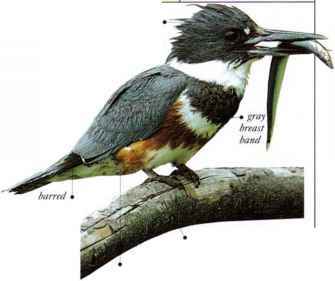 They are all colorfully marked birds with smartly forked tails and are very sure footed on the rocks and in water.